The question caught me off guard. I had gone to a divorce attorney to file the necessary paperwork to end my marriage, so it seemed pretty apparent to me that I was ready for a divorce. But hearing the question asked out loud in such a manner, both skeptical and judging, made me feel exposed. I sat up straighter in the leather-upholstered chair and stared across the desk at a woman who wasn’t currently meeting my expectations. I was told Mona Clark was the best divorce attorney in Houston. A feminist and an advocate for wives. She would handle things quickly and I would get what I deserved. I didn’t expect to be interrogated. To be honest, she didn’t seem all that tough. She looked to be in her late fifties, was slightly overweight and had big brown eyes framed by long graying eyelashes. She reminded me of my mother. “Excuse me, I’m not sure I understand the question?” I tried to mask my own feelings of doubt by sounding agitated. However I don’t think it worked because Ms. Clark sighed deeply and leaned forward in her chair. She gave me a sympathetic glare before her face transformed into something menacing. Her tone was laced with so much bitterness I got the feeling that she wasn’t describing random client occurrences- it was something that she had personally experienced. That wasn’t quite my situation; I didn’t want to destroy Kevin. We had hurt each other enough and he definitely didn’t deserve any more pain. Neither of us did. I just wanted it to all be over and done with one way or another. She cut me off before I was finished. I dropped my hands to my lap and placed my right hand over my left. “Well, I guess we’ll have to agree to disagree. Just because he didn’t come home and ask for a divorce doesn’t mean our marriage is able to be salvaged.” I said it with as much conviction as I could but saying it out loud made me feel a sharp pain in my chest. She smiled faintly and leaned back in her chair again. “Marriage is not easy. You have two individuals trying to work for one common goal and sometimes selfishness, fear and lies infiltrate even the best marriages. Before you divorce your husband, you need to be one hundred percent sure you are ready to live without him. You don’t want to look back and wonder if you did everything you could to save your marriage.” She opened her top desk drawer, pulled out a card and placed it on the desk before sliding it towards me. “I’m a divorce attorney. It’s what I do and I’m very good at it but it would be irresponsible of me to take your case right now. 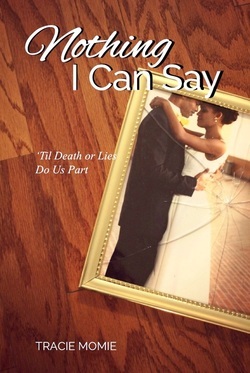 I can’t help you Mrs. Grant but he probably can.” She pointed to the card. I picked it up and read the simple typeface out loud.